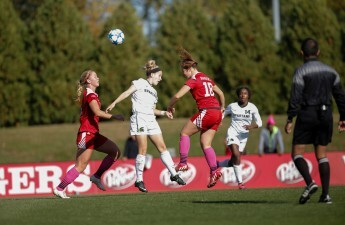 The University of Wisconsin women’s soccer team came up short in the quarterfinals round of the Big Ten tournament Sunday, falling to the University of Michigan in penalty kicks after two overtimes. The loss marks the end of the Badgers’ (8-4-8, 5-2-4 Big Ten) season a year after the squad suffered a similar fate in the same round to Ohio State University. The Wolverines (10-4-4, 6-3-2 Big Ten) took the lead at the 25-minute mark in regular time on a header goal from senior forward Nicky Waldeck, who’s her eighth of the season. Freshman forward Emily Borgmann put the Badgers back on even footing with a goal of her own nine minutes prior to halftime — the final tally of the game. Neither team was able to regain the momentum in the second half and added to intensity and frustration of a conference tournament match. Wisconsin came out of the break outshooting Michigan eight shots to four, but Wolverine goalie Sarah Jackson logged three saves and kept the Badgers scoreless in regular time. The end of regulation ushered in another 20 minutes of deadlock. Senior Micaela Powers missed the first shootout attempt for the Badgers, followed by a successful conversion for the Wolverines on a shot by Reilly Martin. Wisconsin countered with two made attempts from Rose Lavelle and Payton Wesley, but it was too little too late as Michigan made good on all four of their penalty kicks. All in all, Wisconsin’s statistical edge across corner kicks, shots and shots on goal proved to be of no avail with plenty of missed opportunities that Badger players would like to have back. Despite a slow start to the season, Wisconsin’s seven game win streak to close out the regular season put them in a position for success in the postseason. 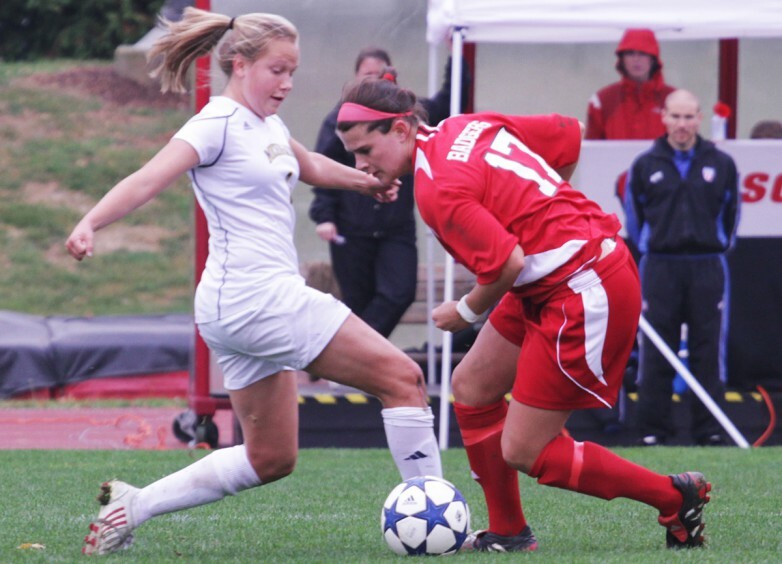 The Badgers, however, left Ann Arbor disappointed after losing their second penalty kick loss to Michigan on the road in less than three weeks. Sunday’s loss means the end of the road for the Badger’s Big Ten bid and the beginning of preparation for spring games. Michigan will now move on to play No. 1 seeded University of Minnesota in the semifinals round Friday.